A suicide bombing outside the Supreme Court in Afghanistan’s capital Kabul killed at least 20 people and injured dozens others Tuesday, marking the latest sign of deteriorating security conditions in the war-ravaged nation. “The assailant detonated the device in the parking lot as employees were boarding a bus to go home, leaving bodies and dismembered limbs scattered around the area, with women and children among the casualties,” reports the Agence France-Presse (AFP) news agency. On Twitter, Wahidullah Mayar, an Afghan Health Ministry official, noted that women and children are among the dead. The incident, which reportedly took place close to the U.S. embassy compound, comes a day after the United Nations released its latest count of civilian casualties from the Afghanistan war, providing grim statistics that paint a picture of a nation plagued by ongoing violence. According to the U.N., the number of civilian casualties in 2016 is record-breaking. “The figures, recorded by UN Assistance Mission in Afghanistan (UNAMA), are the highest since the UN began systematically documenting civilian casualty figures in 2009,” it adds, noting that anti-government forces, primarily the Taliban, are responsible for almost two-thirds of the 2016 casualties while pro-government forces were responsible for nearly one quarter. The UN revealed that there were 72,188 civilian casualties (24,841 deaths, 45,347 injuries) in Afghanistan under former President Barack Obama, who escalated the war soon after taking office in 2009. Although no specific group has claimed responsibility for Tuesday’s suicide bombing yet, the attack bore the hallmarks of the Taliban, which has attacked the top court and its employees in the past. Afghanistan Times notes that the fatalities are expected to rise. Afghan President Ashraf Ghani has strongly condemned the attack as a “barbarian act” and crime against humanity. “The enemies of Afghanistan once again showed their enmity with our people,” he added. Tuesday’s attack comes about a month after two suicide bombings carried out by Taliban jihadists killed at least 36 people and wounded dozens near the Afghan Parliament in Kabul. The Afghan government only controls about half the country, the U.S. Special Inspector General for Afghanistan Reconstruction (SIGAR), a watchdog agency, recently reported citing the American military. 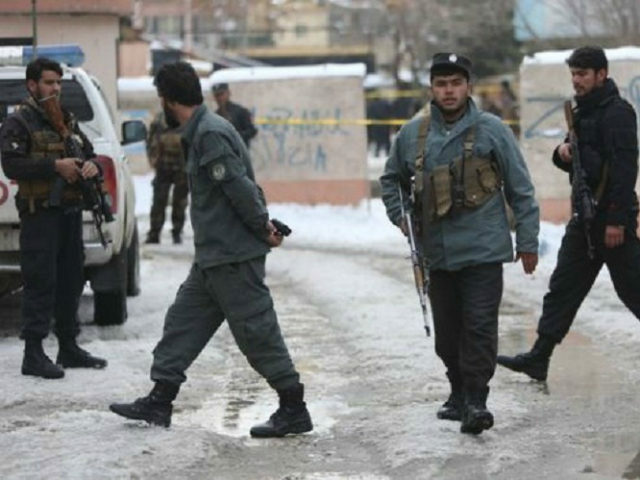 Islamic State (ISIS/ISIL) jihadists, which the Taliban considers rivals, have also established a presence in Afghanistan and have carried out at least one major attack in Kabul.